Conventional wisdom holds that rainbows occur when the sun shines after rain. At Victoria Falls, this supposedly incontrovertible fact is turned on its head: there is no rain and there is no sun. 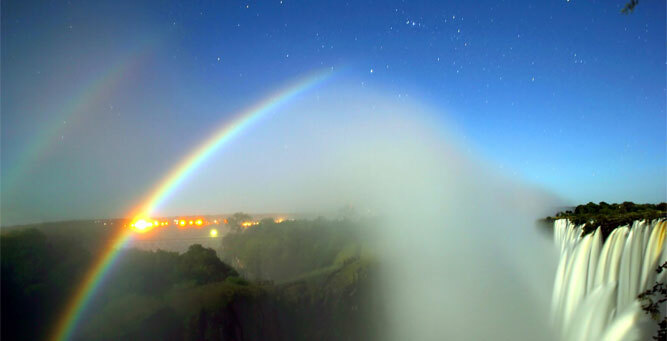 Instead, ‘moonbows’ occur when the bright glow of a perfect full moon hits the mist caused by the Falls in full flow. They are visible for only three nights a month when the skies are cloudless during the highest water season between January and May. The better your night vision, the more colours you will be able to see – this is the perfect time to do a really long exposure if you’re a photographer. Interestingly, moonbows used to occur over Niagara Falls but now there is too much light pollution to see them. How to experience it: Both the Victoria Falls Hotel and The River Club are great places to stay on a lunar rainbow safari. If you want to get include an interaction with an orphaned but fully habituated cheetah named Sylvester, then consider The Elephant Camp, which is connected to the Wild Horizons Elephant Sanctuary. Bear in mind that with ephemeral phenomena like this, there are no guarantees: you need high spray, no clouds and a bright full moon. Luckily, there are plenty of other things to do at Vic Falls - click here for a comprehensive list on land, water and in the air. Desert-adapted elephants survive with little water in the world's oldest desert. Elephants live in the riverine forests that skirt the deep waterways they love to bathe in, right? Almost. The Namib is the world’s oldest desert and home to a surprising array of animals that have adapted to this beautiful but bare-bones landscape. Desert-adapted elephants have been known to walk 70 kilometres (about 44 miles) overnight and dig underground to find a source of water, dipping their trunks gratefully into the resulting well (and providing a water source for smaller game in the process). Unlike their Chobe cousins who sometimes mass together in their hundreds, Namibian desert elephant family groups often consist of a matriarch, one or two sister elephants and their dependent young, making for poignant images of survival against the odds. The only other place in Africa to see desert-adapted elephants is Mali, far to the north. How to experience it: The 12-day Great Namibian Safari will take you deep into the Namib Desert. 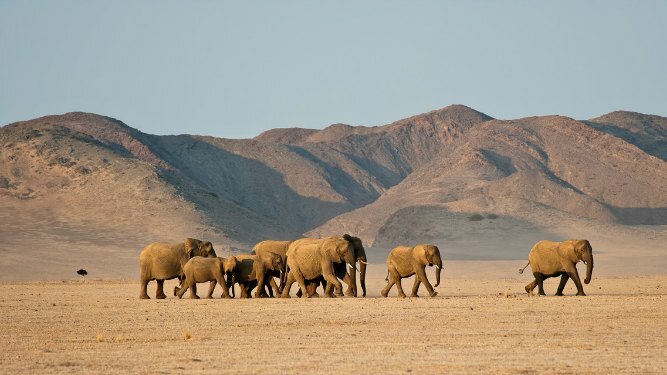 You'll also get to see the Sossusvlei dunes, the quaint town of Swakopmund and the big game of Etosha National Park. 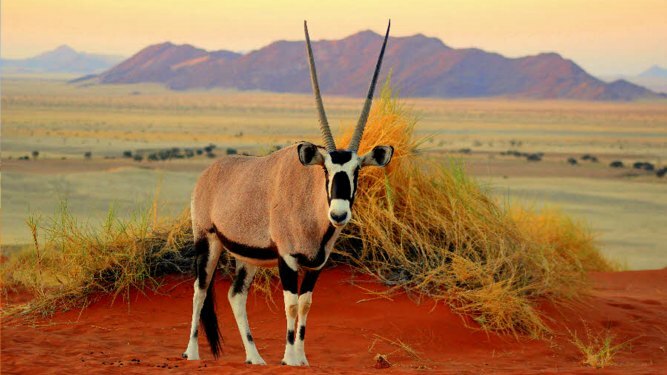 And it's not only ellies you're hoping to see; the Namib is also home to scimitar-horned oryx (gemsbok), caracul and - if you're really lucky - even prides of desert-adapted lions. If you want to do your own thing, Namibia is the perfect place for a road trip. Accommodation like Little Kulala and Sossusvlei Desert Lodge offer a luxurious and romantic experience while further north, Damaraland Camp provides idyllic scenery and lodging in this little-explored part of the country. 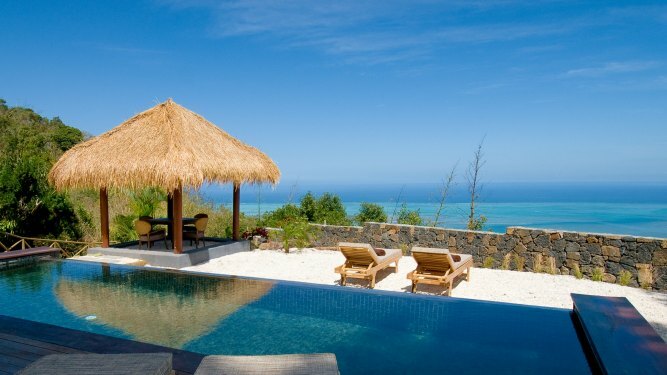 Lux* le Morne and Shanti Maurice are hotels located close to the Coloured Dunes of Chamarel. From the yellow and red dunes of Namibia we turn to the rainbow hues of the Coloured Dunes of Chamarel in Mauritius - a natural phenomenon of green, blue, violet, brown, purple, red and yellow sands. This surreal landscape was created when volcanic sands cooled down at different temperatures, resulting in the multiple hues. The other astonishing facts about this little-known phenomenon is that the dunes don't seem to erode, despite the island’s wet tropical climate, and the grains of sand separate spontaneously and naturally into their different colours. How to experience it: The island is small enough that, no matter where you stay, you can easily rent a car and drive yourself to the dunes (or ask your Africa Safari Expert to arrange a hassle-free transfer for you). 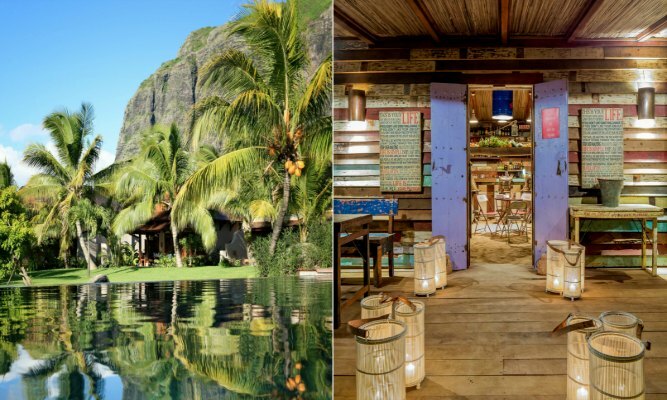 Two of our favourite hotels are Lux* le Morne and Shanti Maurice, both in the south and both with lovely beaches. Mauritius is a secret hiking hotspot so bring your boots if you're an active traveller and head for Tamarin at Flic en Flac, Lion Mountain in the south-east or peaks and gorges of Black River. The very unusual lions at Lake Manyara pass the heat of the day in the boughs of large trees. It’s leopards who are considered the tree-climbing big cats of Africa with lions supposedly preferring to remain on the ground. 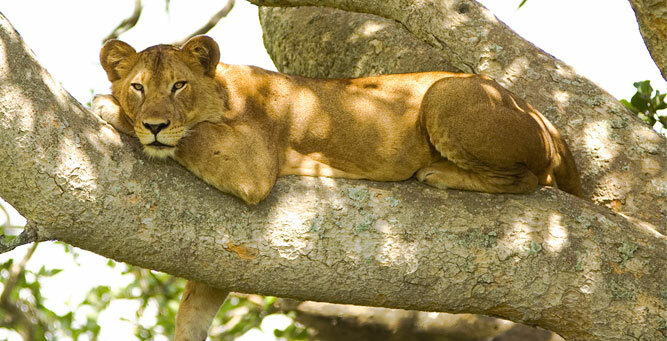 The lions living in the area around Lake Manyara in Tanzania have adopted tree climbing in much the same way as their leopard cousins. No-one is really certain why the prides here choose to rest in the branches of trees but it’s always fascinating to watch a cat weighing between 115 to 180kg (250 to 400 pounds) manoeuvre up and down the boughs of a tree with grace and ease. 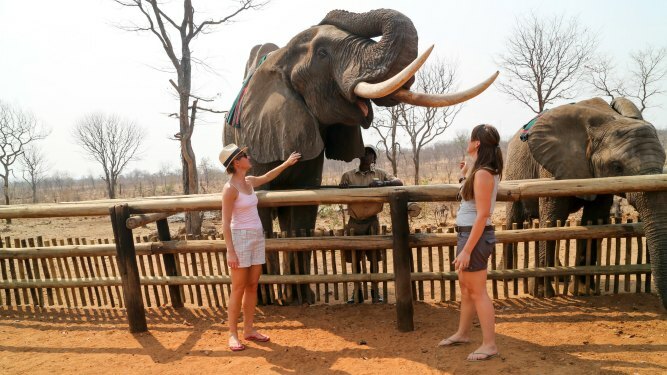 Especially for experience safari goers, once you’ve seen the Big 5 in Africa's most iconic destinations, it's time to set yourself a new challenge and discover Africa’s secret gems – the unique places, unusual animals, and almost-mystical natural phenomena. 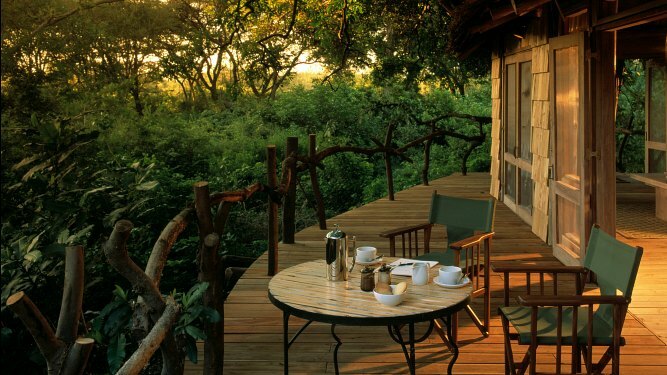 How to experience it: Lake Manyara Tree Lodge is the only accommodation within Lake Manyara National Park and offers 10 luxurious suites built on stilts with views out over the savannah that leads down to the lakeshore and its clouds of flamingoes. Manyara is an easy add-on destination for the Serengeti and Ngorongoro Crater.